Please note that the content of this book primarily consists of articles available from Wikipedia or other free sources online. 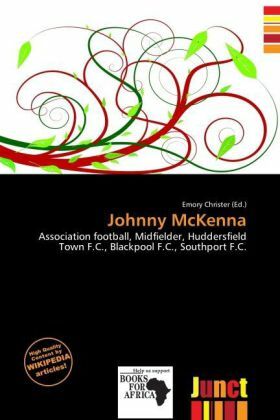 Johnny McKenna (1926 1980) was a professional footballer who played mainly for Huddersfield Town during the 1940s and 1950s. He also gained 7 caps for Northern Ireland. Huddersfield Town Football Club is an English football club formed in 1908 and based in Huddersfield, West Yorkshire. They currently play in League One. Their manager is Lee Clark, who signed a contract to be manager on 11 December 2008 and took charge on 15 December 2008. Blackpool Football Club are an English football club founded in 1887 from the Lancashire seaside town of Blackpool.